Pianist Sujung Cho is a native of Korea, where she was an honor scholarship graduate at Ewha Womans University in Seoul. She holds her master’s degree in Piano Performance and a Doctor of Musical Arts degree in Piano Performance from the University of Cincinnati, College-Conservatory of Music. Her formal teachers include Awadagin Pratt, Elisabeth Pridonoff, Eugene Pridonoff, and Sandra Rivers. As a top graduate of the performance department at Ewha, she performed in the Young Artist Concert sponsored by the Chosun-Ilbo, the most prestigious and notable newspaper press in Korea. After her undergraduate studies, Dr. Cho began attending the Cincinnati College-Conservatory of Music where she won the piano concerto competition and performed Beethoven’s third piano concerto with the conservatory’s orchestra. Also, both as a chamber musician and a collaborative pianist, Dr. Cho has appeared in internationally and nationally acclaimed music competitions and festivals in the United States, Korea, China, and Germany. She was a prize-winner of 2005 CCM chamber music competition and chamber music division of 2007 MTNA national competition. She has been invited to perform in numerous music festivals including Next Generation Music Festival in Pennsylvania, Great Lakes Chamber Music Festival in Michigan, and Great Wall International Music Academy in Beijing, where she closely worked with internationally distinguished composers and performing artists. Dr. Cho joined the faculty of Lamar University in the fall of 2016 as instructor of collaborative piano. Previous faculty appointment includes assistant professor of piano and staff accompanist at Claflin University where she taught accompanying, applied piano, class piano, music appreciation, and piano literature. A versatile and dynamic performer and clinician, Dr. Cho has performed in various venues such as Buam Art Center, Sejong Center for the Performing Art, Kentucky State University, South Carolina State University, Coker College, McNeese State University, Wayland Baptist University, Lee College, and many others. In addition, she has appeared as a concerto soloist with the Seven Hills Sinfonietta and Lamar Civic Orchestra. Dr. Cho’s scholarly interests include researching new and lesser-known music for piano duet of the nineteenth century up through the present day with her joint researcher, pianist Jacob Clark. 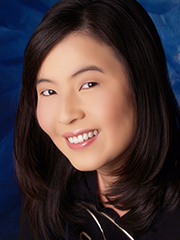 Along with her publication in CMS’s e-journal, Symposium, Dr. Cho has been invited to present lecture recitals and new works in national and regional conferences hosted by the College Music Society in venues located in Texas, South Carolina, North Carolina, Georgia, New York, Montana, Nebraska, Michigan, Missouri, Mississippi, and Oklahoma. She also presented a lecture recital at an international conference hosted by African-American Studies at Boston University, and performed a new work for piano duet and prerecorded electronic track at the New York City Electroacoustic Music Festival.